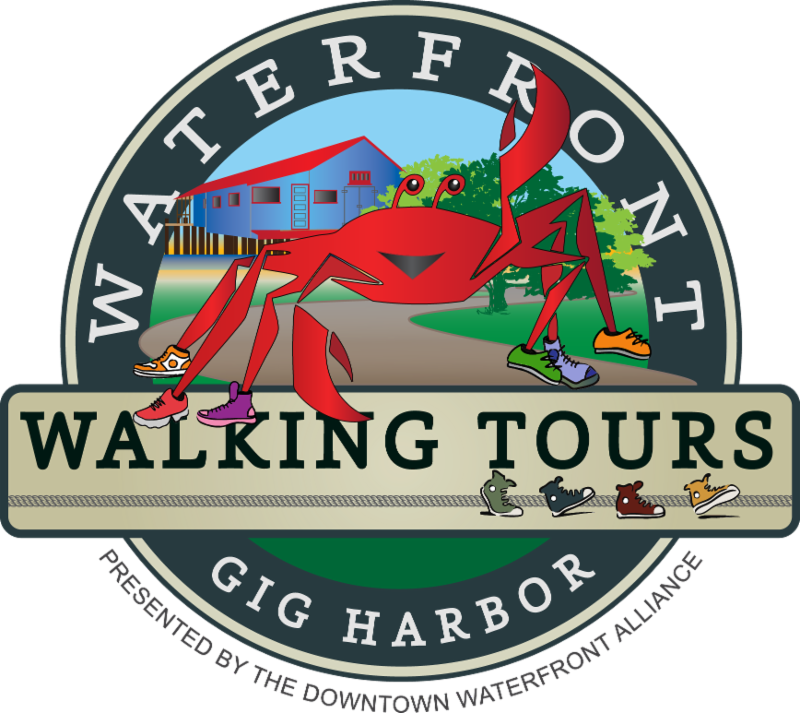 The tours are presented by the Gig Harbor Downtown Waterfront Alliance, Harbor WildWatch and the Harbor History Museum. The "From Skiffs to Spirits" Tour is offered on Wednesday evenings at 5:30pm from June 7 - August 30. This one hour tour is free and meets at the entrance to the Harbor History Museum (4121 Harborview Dr). Enjoy an evening stroll along the waterfront while learning about our past - from net sheds and our historic fishing fleet to the effects of prohibition in the harbor, yesterday and today. This tour is geared for adults and will end with an optional tasting at our very own Heritage Distilling Company! The original tour, "Harbor Heritage: Then and Now" is offered every Saturday morning June 10 - August 26, except for July 29 due to the Wine and Food Festival. This two hour tour meets at 10am at the Maritime Pier (3003 Harborview Drive) next to the Tides Tavern. Take a family-friendly journey through Gig Harbor's maritime history. Learn about our founding families, pioneering industries, and the wildlife and natural resources that brought us all together. This tour offers a glimpse of what life was like in the early Harbor days and how activities from the past have influenced our present. This tour is suitable and fun for all ages. Tours are free to the public and feature two guides, one of which is an expert from Harbor WildWatch. Tours are one way tours, so we recommend riding the trolley back to the starting area, or walking back and enjoy all the harbor has to offer. In the spring of 2016, the Washington Stage Main Street Program awarded the Alliance an Excellence on Main Award for our Waterfront Walking Tour program.